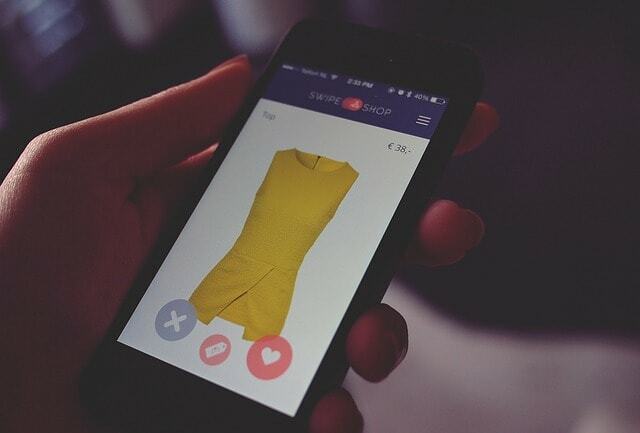 Are you ready for the mcommerce revolution? The global mobile Internet userbase is expected to reach two billion people this year, and sixty-one percent of Internet usage in the United States is already on mobile devices. It was only a matter of time before online shopping trends moved toward mobile as well, and that time is now. Business websites need to do more than simply be responsive on mobile devices like smart phones and tablets. They need to implement strategies to make the most of the shifting marketplace. Customers shopping via the Amazon mobile app more than doubled as well. On November 30, 2015 (Cyber Monday), Amazon customers worldwide ordered more than 33 electronics per second from mobile devices. Customers are tapping their phones at the register to pay. They’re doing comprehensive side-by-side comparisons on mobile devices, analyzing customer reviews, and making purchases via websites and apps alike. According to Paypal, 59% of mobile shoppers are between 18 and 34 years old. We shouldn’t be surprised that Millennials are the early adapters, but usage statistics for every generation are on the rise in the mobile marketplace. Is your ecommerce website empowering your customer’s mobile experience? Responsiveness is a necessity, and businesses can take this fluid design concept a step further by customizing content by device to engage with users in ways that match their exact needs of the moment. Mobile users have different habits than desktop users and even tablet users, after all. Comprehensive content needs to be easily accessible. The more you offer your potential customers, the more they’ll feel confident to confirm their shopping cart, but these videos, images, reviews, side-by-side product comparisons, and in-depth details shouldn’t require multiple clicks from page to page, which can be clunky on a mobile device. Enabling checkout with Apple Pay and Android Pay within apps adds ease and security. Using industry-standard tokenization, these payment methods do not send actual credit and debit card information with a payment. Instead, a virtual account number is used. Apple Pay and Android Pay do not presently support checkout on desktop or mobile website checkouts, but this might just be a matter of time. Integrating an expedited checkout in non-app mobile checkouts creates more conversions. Paypal’s One Touch, Amazon’s One-Click, Visa Checkout, and MasterCard Inc.’s MasterPass are showing major success in this area. In addition, focusing on just one “digital wallet” can limit customers since mobile users have so many options in the growing marketplace. Empowering native social ecommerce integration on social networks can bring big rewards. Visual networks such as Instagram, Pinterest, and Snapchat are growing ever more valuable, and standards from past years like Facebook and Twitter cannot be ignored. Giving social communities instantaneous access to purchases gives businesses more opportunity than ever before. Mobile commerce is sweeping the globe. Mobile shoppers are primed for this moment. Don’t let your business be left behind in the digital dust.